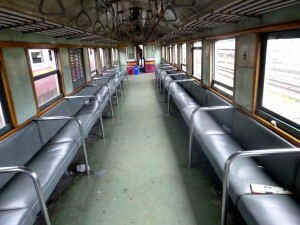 Ordinary train number 252 originates in the town of Prachuap Khiri Khan on the Gulf of Thailand and travels north to the capital Bangkok, terminating at Bang Sue Junction railway station in Bangkok. This service is a slow "rural" train offering seats in 3rd class fan cooled coaches only and stops at nearly all the small stations along its route. It is the cheapest way to travel by train in Thailand, but do not expect punctuality, as these services will take the worst of any delays on the rail network. 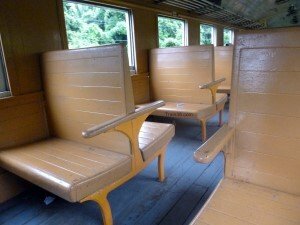 One has seats of wooden seats facing each other and the other have a row of padded seats along the sides of the carriages. Please note the schedule shown on this page is for information only and may change before your dates of travel. Calling 1690 (within Thailand) for 24 hour Train Call Centre. Visit any Thai railway station.